BJP-ruled states today supported the creation of the National Judicial Appointments Commission (NJAC) by submitting before the Apex Court that the independence of judiciary does not necessarily require that judges be appointed by the collegium system. 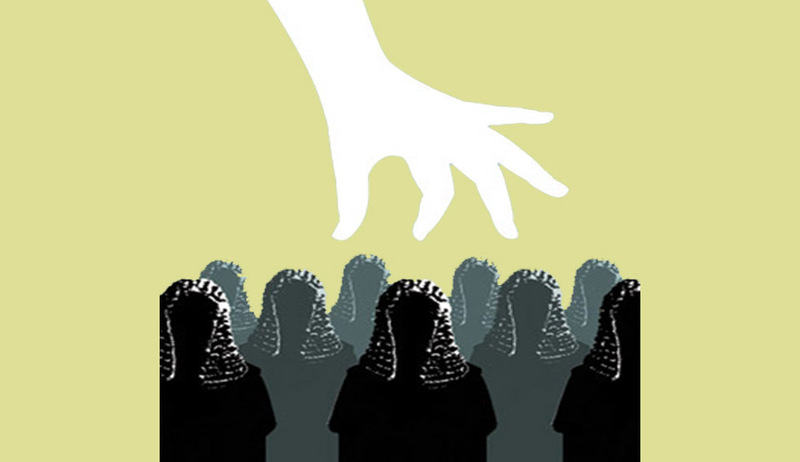 Senior advocate T R Andhyarujina, appearing for the state of Maharashtra, told a five-judge bench of the SC headed by Justice J S Khehar that the independence of judiciary does not necessarily require that the judges be appointed by the collegium system. "In no country of the world, judges are appointed by collegium/judiciary. Instead it is done by the executive in consultation with judges", he told the bench which also comprised justices J Chelameswar, M B Lokur, Kurian Joseph and Adarsh Kumar Goel. Besides Maharashtra, the counsel for BJP-ruled states, Rajasthan, Chhattishgarh, Jharkhand and Gujarat, also advanced arguments in favour of the NJAC and the enabling 99th Constitutional amendment. At the outset, Andhyarujina said that the collegium system has "obvious problems", which were "lack of transparency" due to the "secretive method" of appointing judges, "lack of accountability" and "lack of diversity". He said the basic question was whether there was a disruption of the basic structure of the Constitution and independence of judiciary by the NJAC. Mr. Andhyarujina said that "there is not a word" in the Constitution that the collegium system is a part of its basic structure or that it is the only method of appointing judges. "The character of a judge and his independence does not follow from the method of his appointment and a judge is independent because of his oath and character," he said, adding that the independence of judiciary was not a result of the method of its appointment. He also gave instances, like that of Justice V R Krishna Iyer, where judges decided cases without any "fear" or "favour". "There is no basis that independence of judiciary can be secured only by appointment of judges by judges or by according primacy to their opinion," he further said. The bench asked Andhyarujina whether there was a constitution in the world where the independence of judiciary is as "sacrosanct" as in India. Independence of judiciary is there but the "method of appointment was not the prescription", he responded. He also referred the Constituent assembly debates and quoted B R Ambedkar's views on the issue and said that the architect of the Constitution had termed handing over primacy to CJI, on appointment of judges, as a "dangerous proposition". To this, the court said that Ambedkar was also against giving primacy to the President or the union government on the issue. Attorney General Mukul Rohatgi in response intervened and clarified that the Constitution makers' intention was to have a mix of power instead of vesting it in any one of the three organs of the State - executive, legislature and judiciary. Andhyarujina said that there was no accountability or transparency in collegium system as it functions in secret and its working is not open to public view. "In NJAC, there is total accountability and transparency," he said. To this, the bench said the Parliament should have laid down a law that working of the collegium has to be open to the public. Andhyarujina also said that under the NJAC diversity in appointments made to higher judiciary was possible, as this factor was missing presently as there were few judges who were women, SC/ST or belonging to some other minority group. The state of Jharkhand said "there was no participation of the Supreme Court" in a judge's removal or impeachment, which does affect independence of judiciary, thus, it cannot have primacy in their appointment. The bench, however, countered that the apex court is involved in the process as it carries out the enquiry to see whether a judge needs to be removed, after a complaint against him was received. The Supreme Court Bar Association (SCBA), which has intervened in the matter, told the bench that if the petitions challenging the 99th amendment to the Constitution and the NJAC were allowed, it would amount to "whittling down" the power of Parliament to amend the Constitution. The state of Chhattisgarh in its arguments said that while NJAC would provide a balance between the three organs, the judiciary was trying to exert primacy (by the collegium system). The state of Jharkhand also said that in the NJAC, primacy of judiciary would be protected as of the six members of the commission, three would be senior judges of SC including the CJI, one would be the law minister and the other two "eminent persons" would be nominated by a panel of the prime minister, leader of the opposition and the CJI. It said that while the judiciary may not have primacy in appointment, it would have primacy in blocking an "undeserving" candidate as only two members were required for that. "So there is no question of an undeserving candidate being bought in. Therefore, primacy of judiciary is maintained under NJAC along with diversity," the counsel for Jharkhand said. Additional Solicitor General Tushar Mehta, appearing for Gujarat, said that the inclusion of two eminent persons in the NJAC is the will of the nation. "The presence of two 'eminent persons' in the Commission reflects the unanimous will of the nation and it can never affect the independence of the judiciary. The provision is made to ensure that the appointing body is broad-based and there is a transparency and an accountability in the matter of judicial appointments," he said. Senior advocate K Parasaran, appearing for Rajasthan, favoured the NJAC by calling it an "ideal mix" of judiciary, executive and the common public. "Give it (NJAC) a try and see how it functions. It is better to do the trial and error than error and trial," he said, adding that in the new system merit will also be considered with seniority. Senior advocate and SCBA President Dushyant Dave advanced arguments in favour of the NJAC and criticised the collegium system of judges appointing judges. "I regret with all humility at my command that the majority judgment of the nine-judge bench in 1993 was singularly silent on the constituent assembly debates on the issue," Dave said. Dave, however, did not support the Centre's contention that the collegium system cannot be revived if the court quashes the NJAC Act. Urging the court to refrain from striking down the new laws that will replace the collegium system , Dave said, "Parliamentary democracy is also a basic structure in a system based on the Westminster model, which gives supremacy to Parliament. The plenary power of Parliament is a more important basic feature than the method of appointment of judges." Dave said the court will lean in favour of constitutionality and will interpret a law to prevent friction. He pointed out that all court decisions taking on more powers vis-a-vis the executive in the past had come when the powers of the judiciary were whittled down, citing the example of the Indira Gandhi election case, which eventually resulted in Emergency. "But if you strike down these laws, you will be whittling down power of Parliament," he said. Democratically elected representatives have chosen to experiment with a new system, the court should not stand in its way, he said. Dave, however, contested the government stand that the collegium system can't be revived even if the court struck down the NJAC. He said the 1993 judgement, which gave birth to the collegium system, was not based on any sound legal principles. "Concurrence (as opposed to consultation in appointing judges) was negatived by the Constitutionmakers," he said, quoting from the Constituent Assembly debates. Dave did not hesitate though to fault the collegium system for failing to appoint the best available talent as judges. That issue will have to be addressed should the court strike down the NJAC Act, he said. "We have to appoint the best to do justice to the citizens."